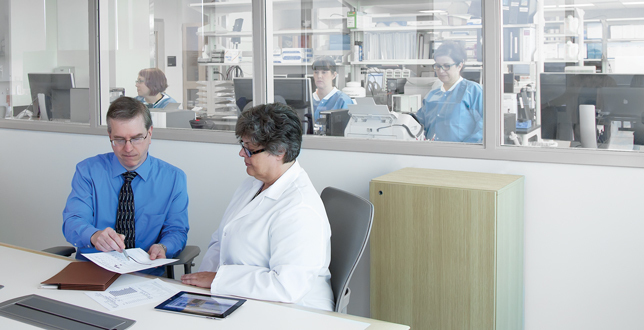 New technologies, new testing requirements, and emerging diseases all contribute to the rapid evolution of the clinical laboratory environment. The CAP continues to develop our comprehensive range of proficiency testing to help you maintain the highest degree of precision in your laboratory and deliver better, more effective patient care. Choose from 25 new proficiency testing and quality improvement for 2019. Evaluate your laboratory’s digital whole slide imaging process with the new HistoQIP HQWSI program. Gain timely insight with the Performance Analytics Dashboard, our complimentary Surveys and CAP accreditation performance monitoring and reporting tool. Purchase your PT and manage your account online—you can review, modify, and submit your prepopulated quote. Specimens are from human donors and are matrix-effect free. Grading is set against reference method targets or all method mean values.